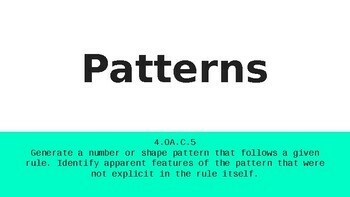 Patterns Google Slides to teach generating patterns and identifying the rule. Students will create patterns with counters as you work though growing patterns together. This also includes objective, vocabulary, and an in and out box activity.